Diana Nyad discusses the gender pay gap in professional sports, arguing for equal pay in sports like tennis, but not basketball. Larry King: Equal pay for equal opportunity. It's not in sports yet. Diana Nyad: It's not in anything yet. Is it? I mean, I think we're fighting all over in every profession. Larry King: There's only one area of profession where women make more. Diana Nyad: Which is it? Diana Nyad: Modeling? Well they should. If they gotta, you know, Ginger Rogers said it best, if they gotta walk around in those heels all day, they should make more than the men. Yeah. But in sports particularly it's the last bastion. Well, you could say the military, you know? But it's the last bastion. Larry King: But you could say, the WNBA doesn't pay near what the NBA does. But the crowds are much smaller. Larry King: You'll be in the NBA. Male swimmers, are they, do they get more attention than female swimmers? 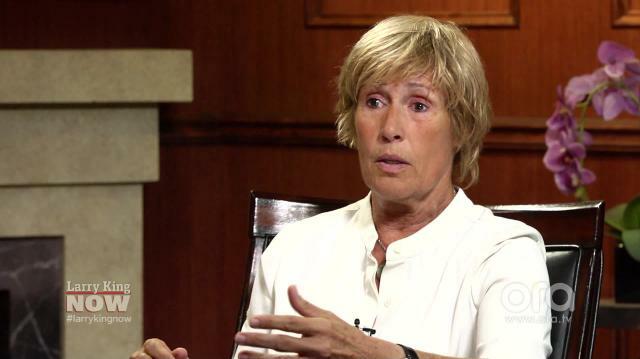 Diana Nyad: I wouldn't say so. I mean, Michael Phelps was a case unto his own. But let's say he hadn't been in these Olympics, I think Katie Ledecky would have been the star more than anybody else.